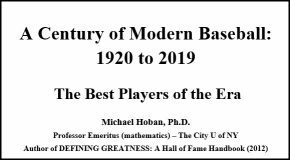 In “Hardball Retrospective: Evaluating Scouting and Development Outcomes for the Modern-Era Franchises”, I placed every ballplayer in the modern era (from 1901-present) on their original team. Therefore, “Harvard” Eddie Grant is listed on the Naps roster for the duration of his career while the Browns claim Cy R. Morgan and the Highlanders declare Russ Ford. I calculated revised standings for every season based entirely on the performance of each team’s “original” players. 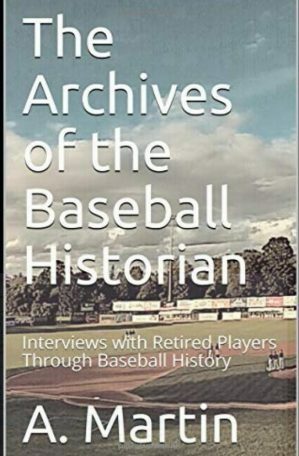 I discuss every team’s “original” players and seasons at length along with organizational performance with respect to the Amateur Draft (or First-Year Player Draft), amateur free agent signings and other methods of player acquisition. Season standings, WAR and Win Shares totals for the “original” teams are compared against the “actual” team results to assess each franchise’s scouting, development and general management skills. 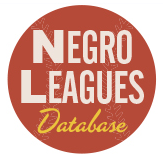 Using a modified version of the Lahman Database (with the ballplayers linked to their original franchises), I imported the players into Digital Diamond Baseball and conducted a full-season replay with the as-played 1910 schedule. John McGraw’s Giants emerged with the National League pennant in a hard-fought battle with the Phillies, Reds and Cubs. Christy Mathewson tied with Reds ace Harry Gaspar for the League-lead in victories and placed third with an ERA of 2.74. “Matty” completed 34 of his 37 starts. “Laughing” Larry Doyle finished among the top five in BA (.307), OBP (.381), SLG (.461), base hits (201) and runs scored (122). Doyle tied Fred Beck of the Doves for the National League home run title with 11 jacks. Fred Merkle slashed a League-leading 22 triples, pilfered 38 bags and produced a .423 SLG. The Fightin’ Phillies won 16 of their final 19 contests to slip past Cincinnati into second place. Nap Lajoie claimed his fourth batting title with a .363 BA and topped the circuit with a .490 SLG, 132 aces and 246 safeties. Sherry Magee led the National League with a .455 OBP, 136 bases on balls and 61 stolen bases while finishing runner-up in BA (.328) and SLG (.482). Sam Crawford, Miller Huggins and Mike Mitchell scored at least 100 runs for Cincinnati. Mitchell batted at a .307 clip and paced the League with 117 RBI. Huggins nabbed 50 bags, coaxed 114 walks and posted a .390 OBP. Harry Gaspar registered 28 victories and topped the charts with 128 whiffs. King Cole recorded 23 wins for the Cubs. Jimmy Sheckard tallied 102 runs and swiped 48 bases while Jake Daubert swatted 10 big-flies for the Superbas. Sam Frock fashioned a 2.72 ERA for the Doves. Red Murray amassed 55 stolen bases for the Cardinals. 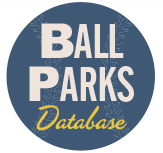 Charley Hall (Reds) and Al Mattern (Doves) crafted no-hitters against the Superbas. Mattern pitched eleven innings in his effort on July 26, 1910. Connie Mack’s Athletics eclipsed the 100-victory mark for the second straight season, outdistancing the Highlanders by 12.5 games. Eddie Collins posted League-bests with 122 runs and 57 stolen bases while tying for the top spot in base hits (222) and triples (19). He placed third in SLG (.435) and finished runner-up in BA (.338) and OBP (.402). Chief Bender paced the Junior Circuit with 28 victories and furnished a 1.89 ERA. Fellow A’s hurlers Jack Coombs (27-17, 2.28) and Eddie Plank (21-11, 2.70) also surpassed the 20-win plateau. Russ Ford (25-10, 1.63) seized the ERA title and teammate Joe Lake added 22 wins along with a 2.49 ERA for the Highlanders. Tris Speaker (.324/6/90) laced 19 three-baggers and notched a .447 SLG. Smoky Joe Wood racked up 27 victories with a 2.69 ERA for the Red Sox. Ty Cobb (.369/10/117) earned the batting crown and topped the circuit with a .445 OBP and a .508 SLG. “The Georgia Peach” also led the League in home runs, RBI and hits while placing runner-up with 55 stolen bases. Donie Bush nabbed 51 bags and tallied 112 aces for Detroit. Frank “Piano Mover” Smith (11-17, 2.21) and “Big” Ed Walsh (19-17, 2.32) yielded sub-1.0 WHIP’s for the Pale Hose. Walter “Big Train” Johnson (21-22, 2.29) completed all of his 42 starts and led the American League with 380.2 innings pitched! “Harvard” Eddie Grant pilfered 48 bases for the Naps. Cy R. Morgan (15-23, 2.17) finished third in the ERA race. The Athletics lapped the field in the American League as Connie Mack’s squad finished 21 games ahead of the runner-up Red Sox. The Giants outpaced the Reds in a tight race, reflected by a five-game margin at season’s end. The A’s topped the leader boards in OWAR (50.9) and OWS (274). The Giants posted a League-best OWAR of 53.0 while the Reds accrued a 282 OWS.